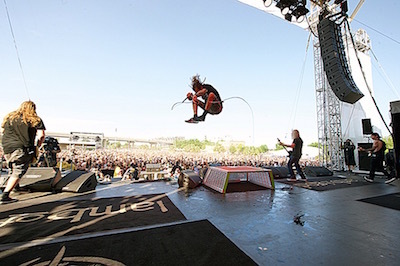 The sixth annual Monster Energy Welcome To Rockville held April 30 and May 1 at scenic Metropolitan Park in Jacksonville, Florida was the festival's best offering yet, with more than 50,000 in attendance for the sold-out weekend, marking the biggest rock experience in Florida's history. Monster Energy Welcome To Rockville featured more than 45 bands on four stages, including rock icon/filmmaker Rob Zombie, Disturbed (who have returned after a 4-year hiatus with their #1 album Immortalized), Jacksonville's own Shinedown, Five Finger Death Punch, A Day To Remember, Bring Me The Horizon and many more. In addition to enjoying two days of nonstop rock, attendees quenched their thirst and satisfied their hunger with Monster Energy Welcome To Rockville Tequila World Presented by El Jimador, plus the debut of Gourmet Man Food, Craft Beer selections, and the Jack Daniel's Whiskey Row Experience. Fans got up close and personal with music gear — and with Monster Energy Welcome To Rockville musicians themselves — at The Music Experience and artist meet & greets at the Monster Energy and f.y.e. tents, and soared above it all on the Monster Energy Welcome To Rockville Ferris Wheel. Other fan activities included Keep Golf Metal, the Jäger Live Lounge, a 50/50 raffle supporting Take Me Home Animal Rescue, various onsite activities with the Jacksonville Jaguars, and more. 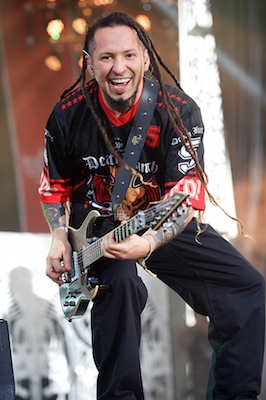 "Welcome To Rockville set records with a crowd of 50,000 attendees in the audience this past weekend. 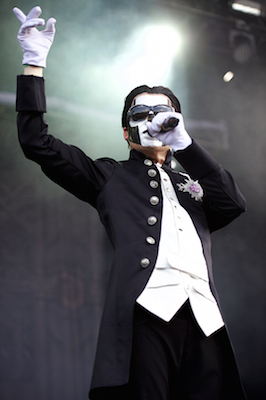 And it makes sense that people would flock there, considering the fest was jam-packed with musicians like Disturbed, Bring Me The Horizon and, of course, A Day To Remember." 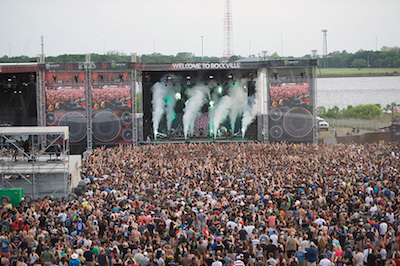 "Welcome To Rockville might be the best hard rock festival in the nation. It takes place in the Sunshine State, there's a thing called Jack Daniel's Whiskey Row which is what it sounds like, a tasting row of Jack Daniel's finest varieties, and then there are the routinely killer lineups. 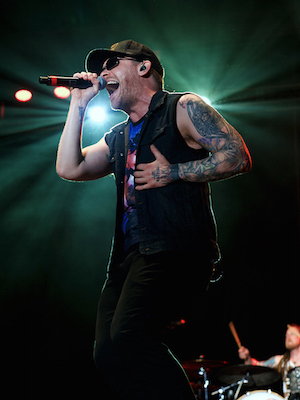 The Rockville organizers did not disappoint this year, opting to bring in a bevy of eardrum-shattering acts like Disturbed, Shinedown, Sixx:A.M., Rob Zombie, Five Finger Death Punch, and Megadeth." 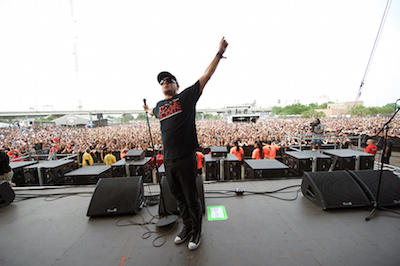 "Metropolitan Park was swarmed by thousands of fans that came out Saturday to party and enjoy their favorite bands." Monster Energy Welcome To Rockville producer Danny Wimmer of Danny Wimmer Presents says, "From its humble beginnings in 2011 as a single day event that drew 7,500, five years later Rockville has grown into the biggest rock event in the state of Florida. 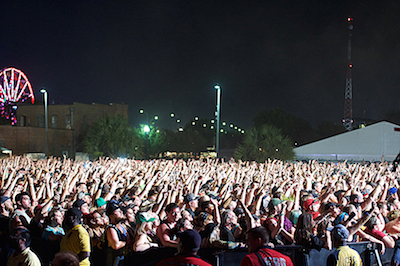 Having over 50,000 attendees from around the world just proves how strong the community of rock fans is." 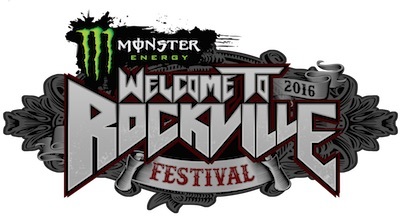 Monster Energy Welcome To Rockville—Florida's biggest rock festival—kicked off the World's Loudest Month festival series and is produced by Danny Wimmer Presents, a producer of some of the biggest rock festivals in America, including Rock On The Range, Monster Energy AFTERSHOCK, Monster Energy Fort Rock, Monster Energy Carolina Rebellion, LOUDER THAN LIFE, Northern Invasion, Chicago Open Air, Monster Energy Rock Allegiance, and more. The festival is fueled by Monster Energy. Additional 2016 sponsors included: Bud Light, f.y.e., Jack Daniel's, Zippo Encore, Matador Beef Jerky, Jägermeister, El Jimador Tequila, The Music Experience, Marshall Headphones, Take Me Home Animal Rescue, Fxck Cancer's Dyin2Live, Jacksonville Jaguars, Jacksonville Sharks, MetroPCS, Century Media Records, Roadrunner Records and more.